Starting a farm is difficult, and succeeding beyond the first few years may be even more so. Beginning farmers and ranchers nation-wide face unique challenges to achieve their farm goals and aspirations. 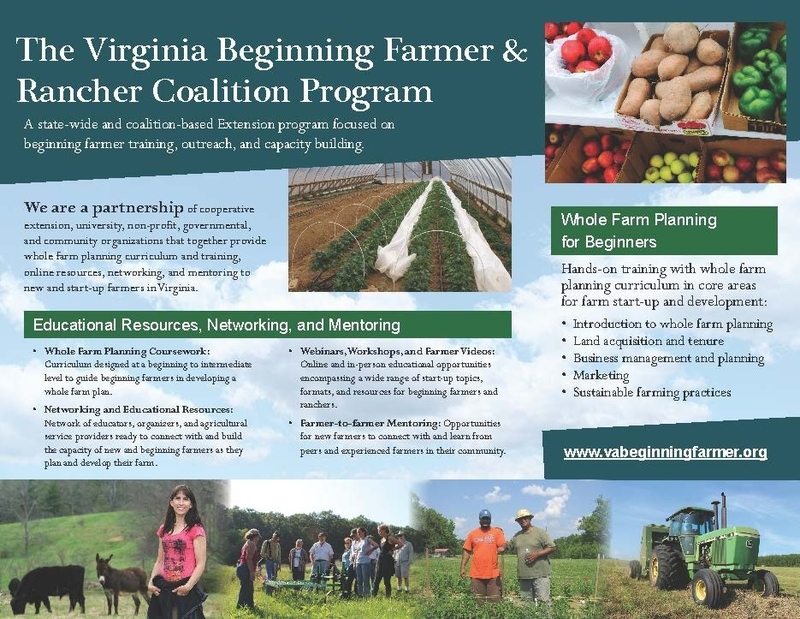 The long-term goal of the Virginia Beginning Farmer & Rancher Coalition (VBFRC) is to improve opportunities for beginning farmers and ranchers to establish and sustain viable agricultural operations and communities in Virginia. To reach our goal, we support the development and enhancement of whole farm planning curriculum and training, online resources, social networking, and farmer mentoring. Unique to the VBFRC is its coalition of agricultural organizations and farm business that work together to develop and implement these aims. 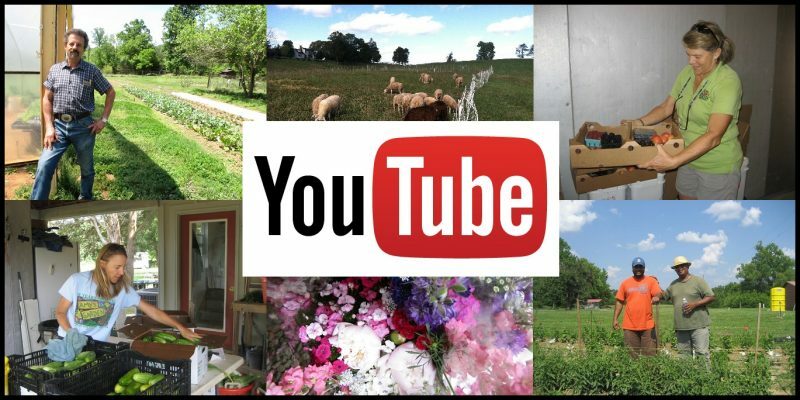 During the spring and summer of 2015, members of the VBFRC interviewed the owners of five farms across Virginia to ask about their experiences and enterprises. Each farmer discussed how they got started in farming, their primary products and markets, labor practices, and a variety of other topics related to their farms. 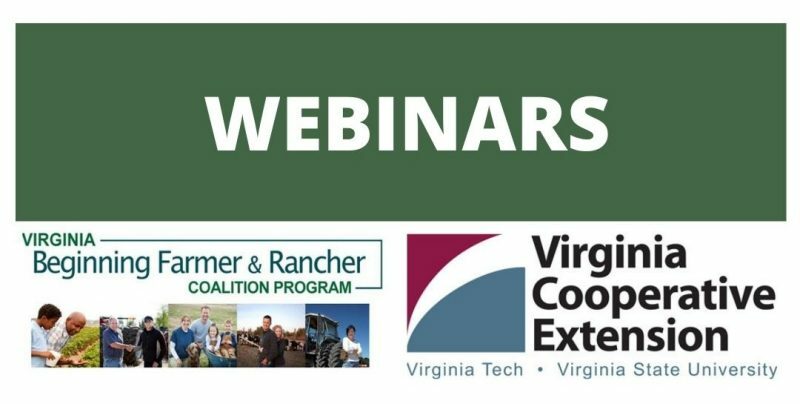 These conversations were recorded for the purpose of creating videos that will help beginning and established farmers and ranchers in Virginia learn more about other Virginia farmers while gaining valuable information about how different farms are operated. To view these videos, visit our YouTube channel. The Virginia Beginning Farmer & Rancher Coalition held an election July 2017 to add new members to the VBFRC advisory group. 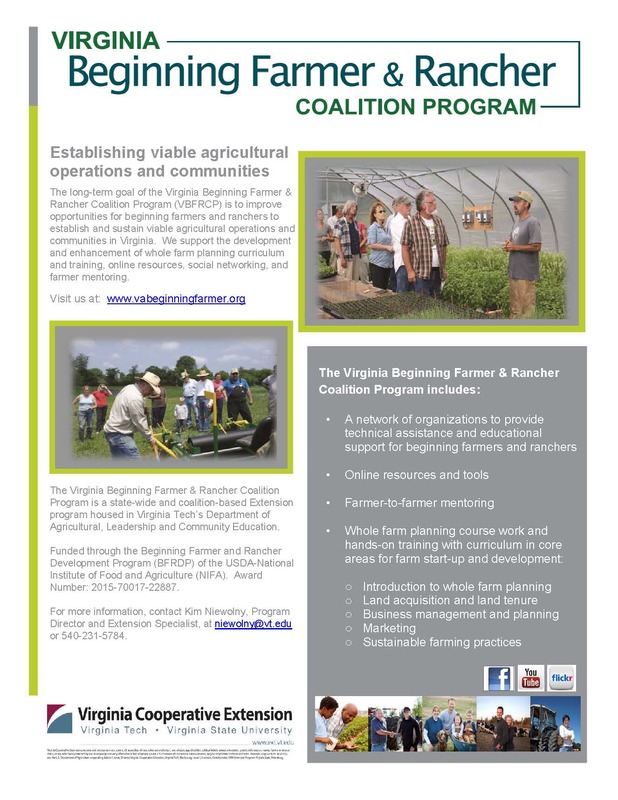 The advisory group consists of committed individuals from the Coalition who represent both farmer and service provider perspectives in Virginia. This elected advisory group is responsible for providing input to guide program activity to best address the expressed needs of the Coalition. Visit Coalition to view our current advisory group!